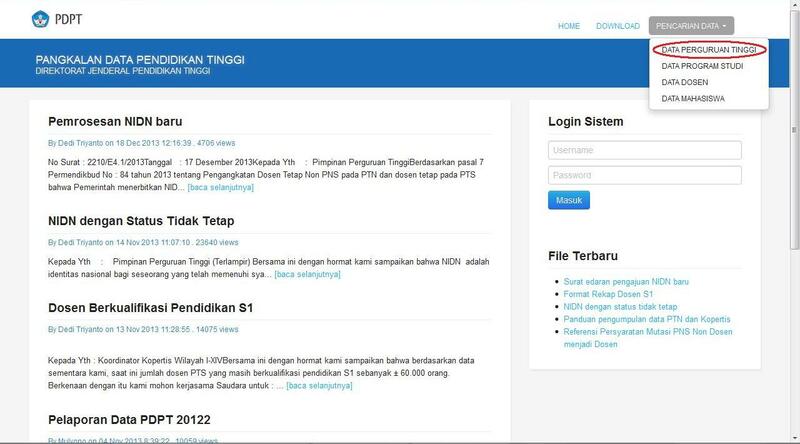 Once the page is loaded, click on ‘PENCARIAN DATA’ which is located at the right top corner of the page. See Figure 1. A drop-down list will appear, as shown in Figure 2. 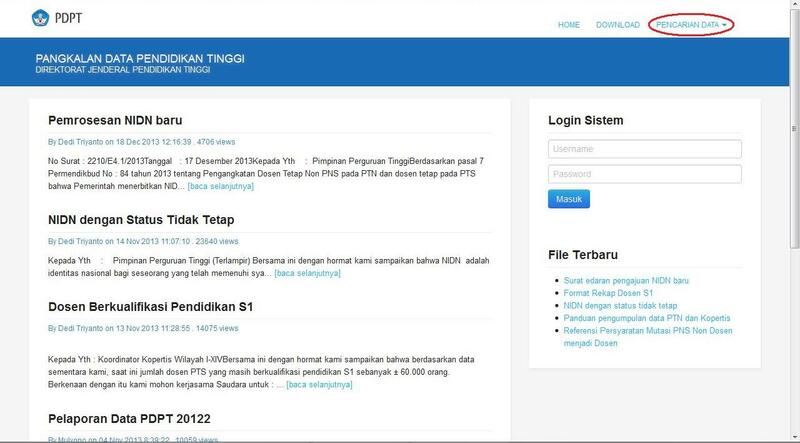 Then, select ‘DATA PERGURUAN TINGGI’. A new page, as seen in Figure 3, will be loaded. Click on ‘Cari Perguruan Tinggi’. 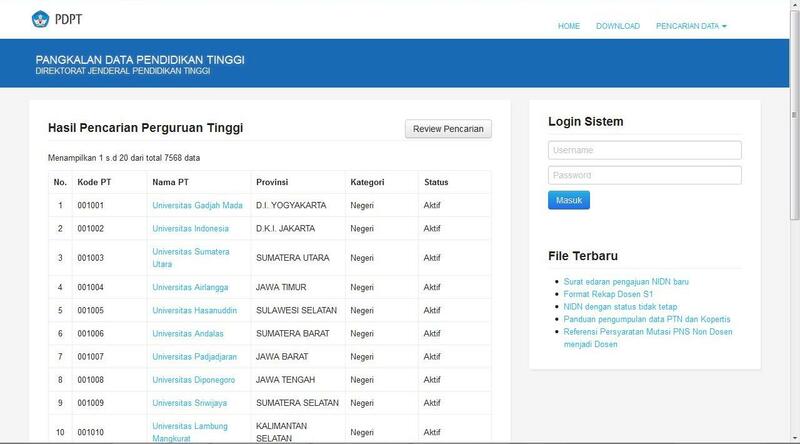 The list of the Indonesian universities will appear. The page will look like the one seen in Figure 4. 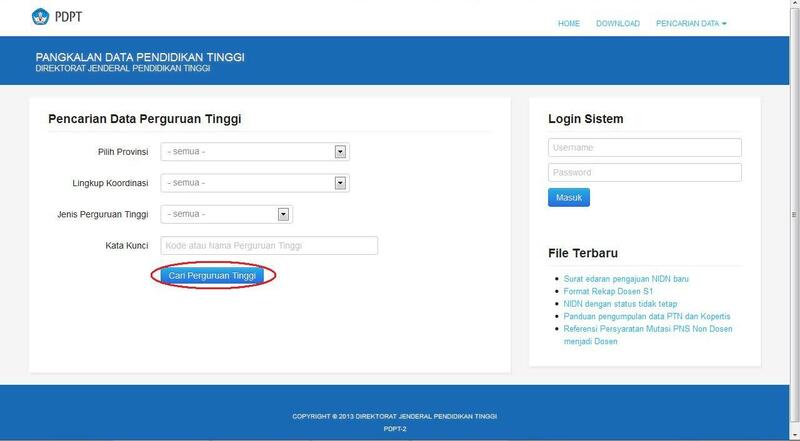 To load the intended university data, click on the university name listed in ‘Nama PT’ column (the third column from left). The list of International Offices of these universities is available here.